MSC Cruises will soon base another cruise ship at PortMiami starting in December 2018. 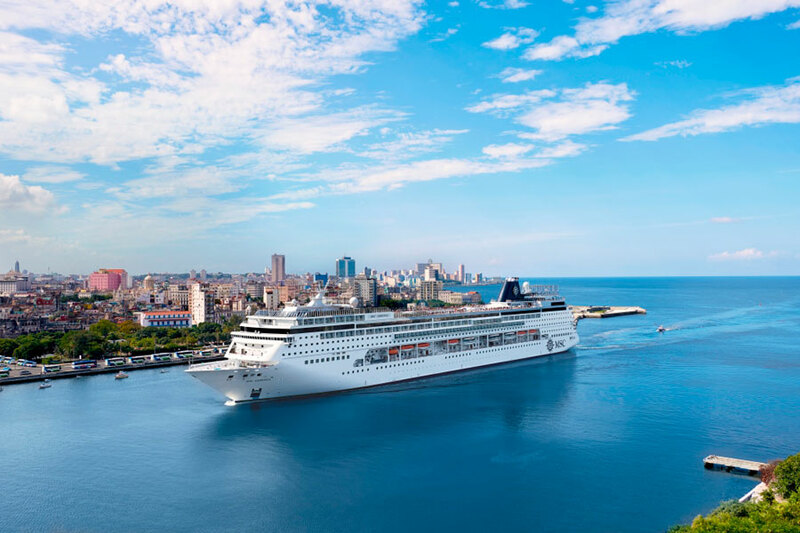 MSC Armonia will begin Caribbean cruises which will include a call in Havana, Cuba. The ship will join two other MSC ships already based at the cruise capital of the world. Miami is the port to sail from pretty much any time of the year and it’s about to get even more cruise options. For the first time, MSC Armonia will be Caribbean cruises this December. The new offerings will also include calls in Havana, Cuba. The first sailing from PortMiami will depart on December 10, 2018. The new 7-night sailings will include calls in Montego Bay, Jamaica; Georgetown, Cayman Islands; and Cozumel, Mexico before arriving in Havana, the Cuban capital, on Saturday and staying overnight to Sunday. The new cruises from Miami to Cuba are a first for the cruise line and during the voyages, guests will be able to experience Cuban culture onboard along with new entertainment offerings and a brand new specialty restaurant. The new 38 seater restaurant called “Surf & Turf” will serve a delectable menu for $35, where guests can select an appetizer, main course and dessert from an assortment of gourmet options. While MSC Armonia is calling in Cuba local musicians will be aboard playing some of the best Cuban music for guests. This will happen during the overnight stay in Havana. The MSC ship is full-featured thanks to her $250 Million Renaissance Program refurbishment in late 2014. The ship will also expand MSC in North America which has always been the long-term goal for the cruise line.